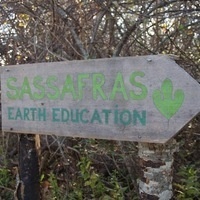 Sassafras’ Saturday Youth program is an ongoing outdoor program during the school year for ages 6 and up. We spend the day outside, finding nature’s mysteries, honing outdoor and earth skills, and playing games. Developing common sense and learning how to be safe in the woods is balanced with timeless exploration, play, and crafting. All time favorites are shelter building, ancient fire making, cooking over an open fire, whittling, sneaking and stalking, tracking, bird language, storytelling, JTC and many other nature games. As soon as you are ready for some fantastic outdoor adventures and learning some new skills, bring a lunch and a water bottle in a day pack, and wear clothing that will keep you warm and dry for a day outside.